Alaska, located to the northwest of Canada, is the largest, most sparsely populated state in the country. Alaska is known for its diverse terrain of open spaces, mountains and forests, with abundant wildlife and small, charming towns. Whether you’re chartering a private flight for a luxury vacation, business, or special event, our private jet charter team can arrange a luxury jet to/from any travel destination in Alaska and neighboring states. Fly private with our Alaska private jet charter service and arrive in style for your next trip! Fly privately into one of the following destinations within Alaska. This list of destinations is based on Air Charter Advisors clientele requests, local attractions, and online reviews. Many of our clients choose Juneau or Anchorage as their top travel destinations when planning a trip to Alaska. Ideal months for travel can be during any season throughout the year. Alaska is home to the Denali National Park and Preserve, home to Denali (formerly Mt. 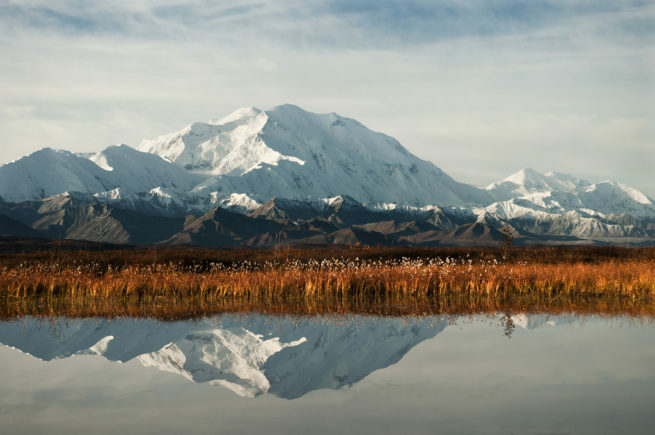 McKinley) and encompassing more than 6 million acres of Alaskan wilderness. Outdoor activities such as skiing, mountain biking and kayaking are also popular. Request a Quote or give us a call at 1-888-987-5387 to speak with one of our Alaska private jet charter brokers for your next luxury vacation, business trip, or special event.